If you've been reading my blog for a while, you'll know that I love to invest in classic and timeless fashion. This is even more so if the item I'm investing in is luxury/designer. A few months ago I won a blogger competition with Farfetch* where I was kindly gifted a voucher to use on their website. I decided to purchase the classic Givenchy Antigona handbag as I have wanted it for so long. It's such a gorgeous handbag and I love the size, as I can fit everything I need for the daytime and night. 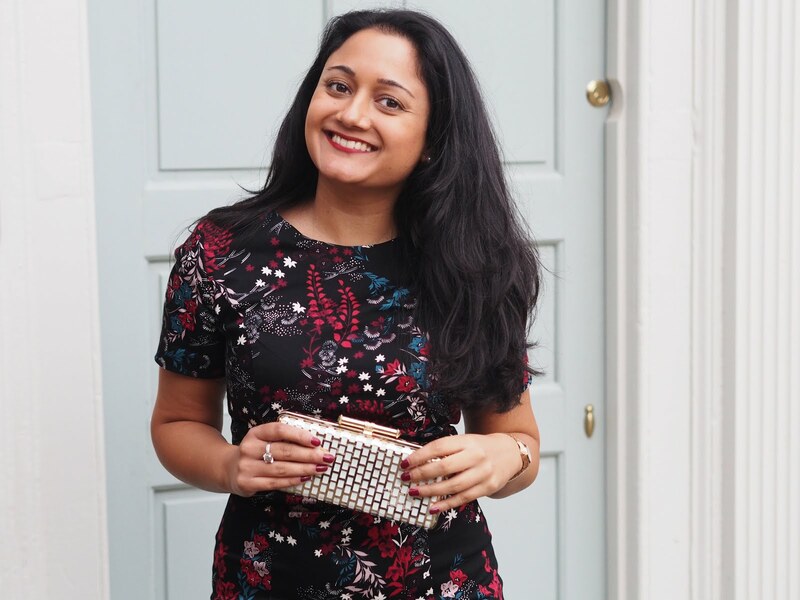 I wanted to write this blog post about investing in designer handbags, as I thought it could help a lot of people out when making your purchase decisions. Believe it or not, but this is actually the 'small' Antigona tote bag. I did my research before this purchase and the small version is definitely big enough. It also comes with a handy shoulder strap and the bag is really sturdy and holds it's shape well. 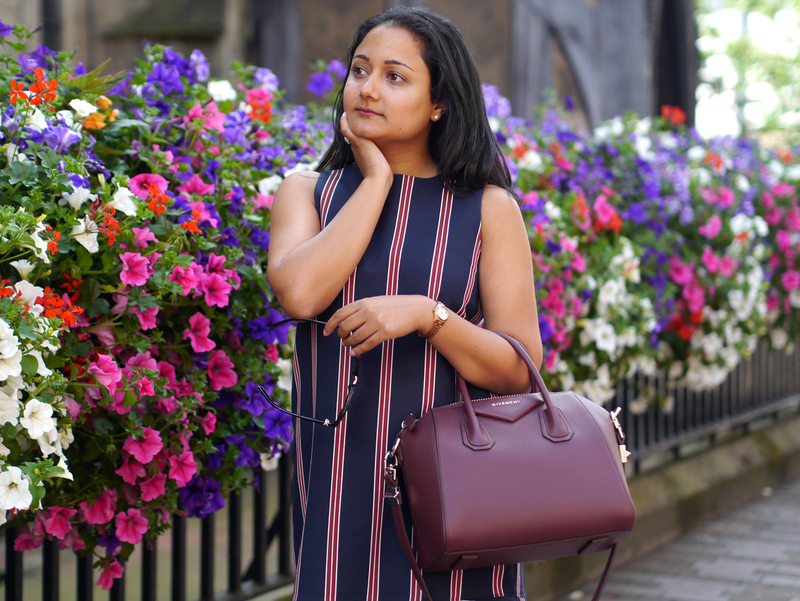 I love this Burgundy colour as it goes with so much in my wardrobe and is actually really perfect for Autumn! However I have also been wearing this bag all summer, so for me it's a bag for all seasons and I will just style it differently. 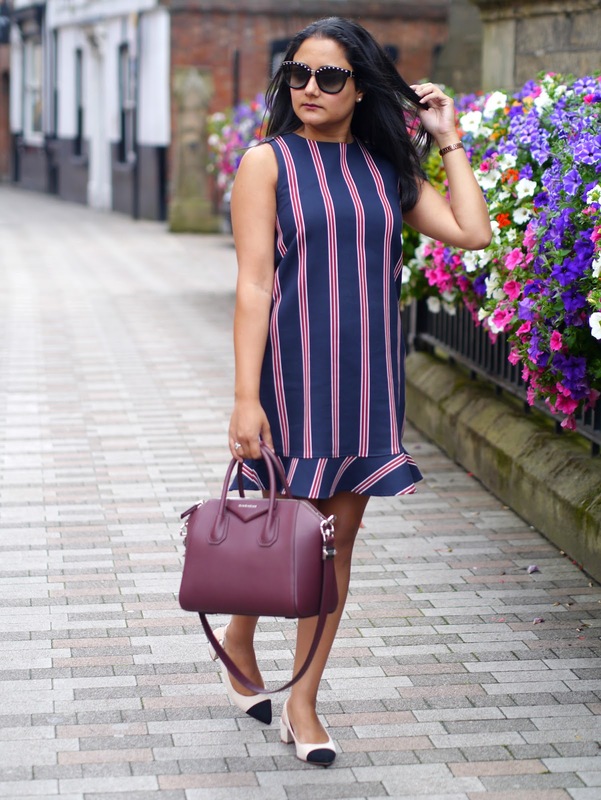 In this look I decided to style the Givenchy Antigona with my Zara striped dress. I like how the colours of the stripes and the bag compliment each other. Plus, this is a very classic day time look which could also work for the office. My accessories included my Hugo Boss watch and Valentino sunglasses. 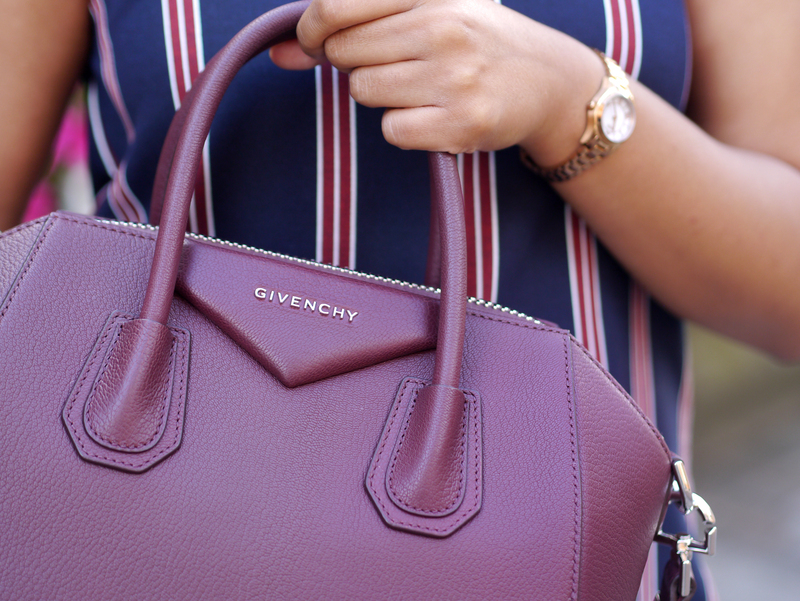 *Thank you to Farfetch for gifting me a voucher which I used towards purchasing the Givenchy Antigona handbag. All views are honest and my own, as always. I adore this bag Radhika. I would always sway towards black but this colour is fabulous and looks great styled with that dress!